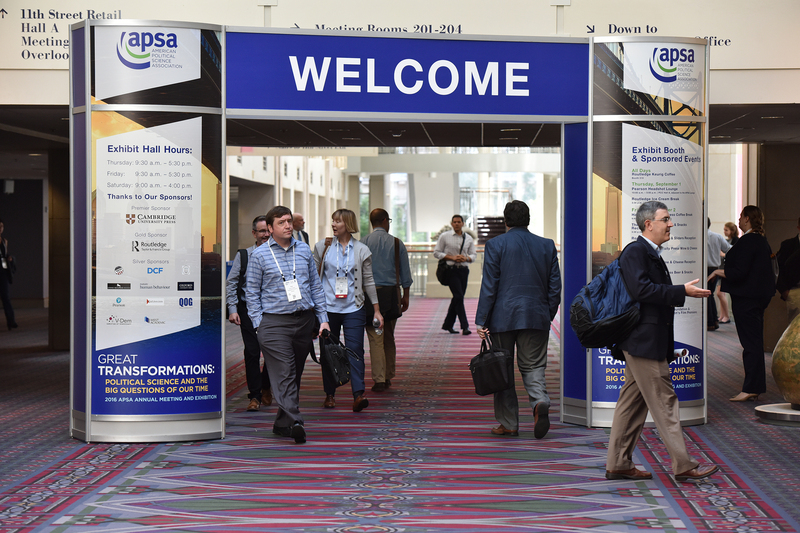 APSA offers a wide variety of advertising, ranging from program book ads to mobile app banners. Conference Program Ads: Raise your visibility in the conference program! In an effort to incorporate our theme and integrate technology into our event, we offering attendees a conference mobile app, in addition to the print program. All attendees will have the option when registering to receive a hard copy or an electronic PDF copy of the program. Half page, full page, and covers are available inside the hard copy and the electronic copy of the conference program. Online Ads: Make your logo the first thing attendees see when viewing the online conference schedule. Annual Meeting participants visit our website to access the online program, register, and make travel arrangements. Rotating ads will be available on the site from June through September. e-Newsletter Banners: Advertise to all 12,000 APSA members with a banner ad. The e-Newsletter is distributed to more than 12,000 members. There is a special discounted rate for conference exhibitors and sponsors. Contact Karima Scott at kscott@apsanet.org for more details and information on this opportunity. Also, learn more about exhibiting or sponsoring at the conference.